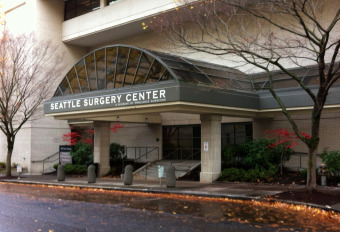 Dr. Thomas Lamperti specializes in facial plastic surgery with clinics in Seattle and Bothell Washington. That's interesting: Dr. Lamperti participates in "FACE TO FACE: The National Domestic Violence Project". Formed as a partnership between the American Academy of Facial Plastic and Reconstructive Surgery Foundation and the National Coalition Against Domestic Violence, FACE TO FACE surgeons offer consultation and surgery, pro-bono, to eligible victims of domestic violence. Have you always had your eye on a plastic surgery practice? I’ve always had an interest in facial plastic surgery and that is what drew me to Otolaryngology while I was in medical school. I really enjoy combining my visual, artistic sensibilities with science and medicine. At the same time I continually find great satisfaction from the positive changes that I see in my patients. My clinic consists of a practice manager, patient care coordinator and medical assistant. 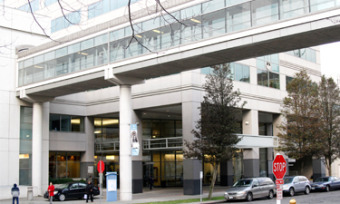 My practice exists within a larger multispecialty group (Pacific Medical Centers). 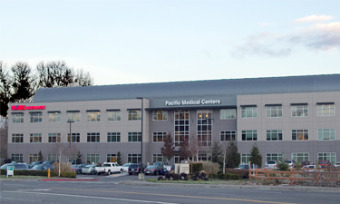 I have a clinic in downtown Seattle and another suburban based clinic in the Canyon Park area of Bothell, Washington. Each practice location has two to three exam rooms and a photography room. My practice is wide ranging from reconstructive procedures to cosmetic procedures. I offer a range of facial plastic surgery procedures including rhinoplasty, facelift, facial fat grafting, blepharoplasty and Botox and injectable facial fillers. I also work closing with my group’s dermatologists in treating facial skin cancers and performing scar revisions. I don’t perform in office laser treatment. I do perform superficial and medium depth chemical peels and offer ablative laser resurfacing in the operating room. Surgical treatments are the most profitable for my practice. That being said, what’s important is that the treatment plan best fits my patients’ desires and concerns, not that it’s the most profitable. How are you marketing your practice? I mainly market using the internet. This includes being quite active on Facebook and Twitter and forums like RealSelf.com. Working as part of a larger multi-specialty organization internal marketing has also proven very important as well. I also enjoy blogging via my website. This has the benefit of educating potential patients and also allowing potential patients to better find me. Which technologies do you see being developed that might impact a plastic surgeon? What do you think of them? There’s been a lot of growth in methods to combat facial volume loss. This includes various methods to process fat during facial fat grafting. I don’t use any of these systems myself as I’ve been happy with the consistency in results I obtain with my current methods. We’ve already seen how cosmetic surgery has been affected by the increased availability in non-surgical treatment modalities. This has allowed patients to have less extensive treatments with less downtime and at a lower cost. What have you learned about practicing cosmetic medicine? If there’s one thing I’ve learn about practicing cosmetic medicine it is to treat every patient with respect. I take great pride in the level of personalized attention I have with my patients as I try to spend as much time as I can answering their questions, taking their medical photos, removing sutures, etc. Patients definitely appreciate this face to face time with their doctor. In the field of cosmetic medicine I think that specializing as much as possible has been very beneficial. It has allowed me to focus on a small subset of procedures and gain an excellent level of expertise. Patients understand the benefits of being treated by a specialist rather than a jack of all trades. About: Dr. Lamperti's medical training began at Columbia University College of Physicians and Surgeons where he obtained his medical degree. 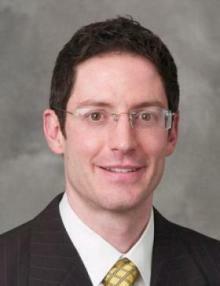 He then completed his Otolaryngology residency at the University of Iowa Hospitals and Clinics. He served in the Air Force in Anchorage, Alaska where he founded the Facial Plastic Surgery division. He obtained my dual board certification in Facial Plastic and Reconstructive Surgery and Otolaryngology during this time. Following his active duty assignment, he moved to Seattle where he now practices.